Vyatskiye Polyany is a town located in the Kirov region on the banks of the Vyatka river. Is 328 km from the regional center of Kirov and 172 km from Kazan. To get to Vyatskie Polyany by train, train, bus, taxi and private vehicles. To Vyatskie Polyany from the bus station of the city of Kirov the bus at 09:30 on weekdays. The fare is 595 R. 50 K., the journey time is 8 hours because the bus goes through Mashhad. From this same station Monday, Wednesday and Friday at 14:30 depart bus number 230. Here it takes 5 hours, the ticket costs 550 R. There is an additional flight on Sundays, leaving transport at 19:30. Also from Kirov to Vyatka glades can be reached by train. Train station at 00:10 moves off the train 368Г with the message Kirov — Kislovodsk. Reaches the designated point at 13:38. The price of a ticket in a compartment — 1500 R., the reserved seat — 1000 R.
From Moscow to the city trains. The journey time is approximately 15 hours, tickets can be purchased from 1200 to 3000 R. R. in order to get in Vyatskie Polyany should sit on the train Moscow — Izhevsk, Moscow — Neryungri, Moscow — Krasnoyarsk. The departure time needs to be clarified in the help of the Kazan station number 8 (800) 775 00 00. 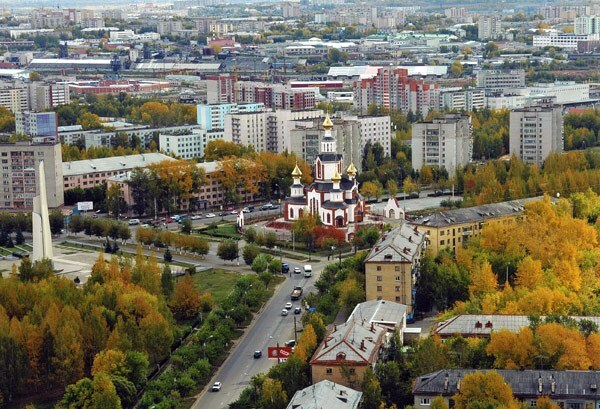 From Kazan ' to Vyatskiye glades can be reached by passing train, leaving the station almost every hour. It takes 2 — 3 hours. Direct flights bus Kazan — Vyatskie Polyany does not exist. But daily from the station of the capital of Tatarstan there trains to the final destination. They go to 05:00, 06:00, 07:22, 12:07, 13:32, 16:18, 18 :23 and 20:30. Vyatskie Polyany is a large railway station through which trains pass in opposite directions. Therefore, the most convenient option to get to Vyatskie Polyany is the train. To the designated point can be reached from Izhevsk, Irkutsk, Krasnoyarsk, Kislovodsk, Sochi, Nizhnevartovsk, Kharkov, Nizhny Tagil, Ulan-Ude. Through the bus station Vyatskiye glades rides the bus with the direction Ufa — Kirov, Naberezhnye Chelny, Kirov, Nizhnekamsk, Kirov.